I am trying to determine if there is a relationship between a dependent variable y and independent variable x by fitting a least squares regression model. 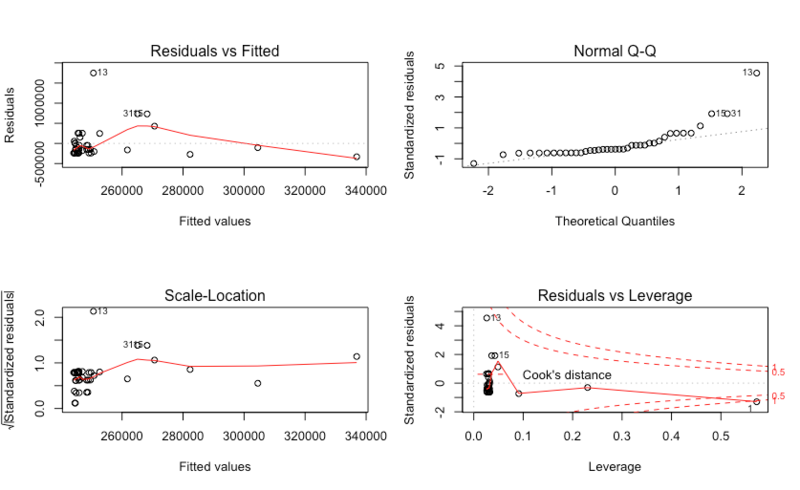 The residuals seem to have constant variance, and there isn't any clear pattern in the residual vs fitted plot. However, the R-squared and the significance of the model fit's coefficients are very low. In this case, are there any nonlinearity issues that needs to be remediated with a transformation or can I conclude that my model is adequate with the correct functional form ? Browse other questions tagged statistics regression data-analysis linear-regression regression-analysis or ask your own question. 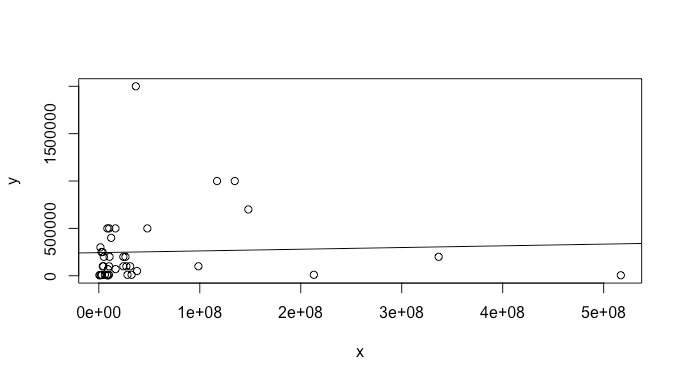 Linear regression analysis where the fit values must be greater than the observed values?